The search dragged on for several years. ​It all started about four years ago when I came into an old Sega Saturn system from the mid-90s. It was an entire console catalog that I completely skipped over back in the day. I hooked it up to my TV and soon I was knee-deep in classic fighting games like Street Fighter vs. X-Men and shoot-em-ups like Thunderforce V. The low-poly art style was gorgeously retro, but I quickly realized that the image was stretched and distorted on my HDTV. I Googled "retro console fidelity," and that's where it all went wrong. Without getting too deep into the AV nerd wormhole -- and I am certainly no expert on this matter -- the short of it is that that old video game consoles were designed in very small resolutions specifically for old CRT televisions. You remember those old bulky beasts that took two grown men to lift? They had actual cathode ray guns inside of them that drew the image on the screen with a spray of electrons. 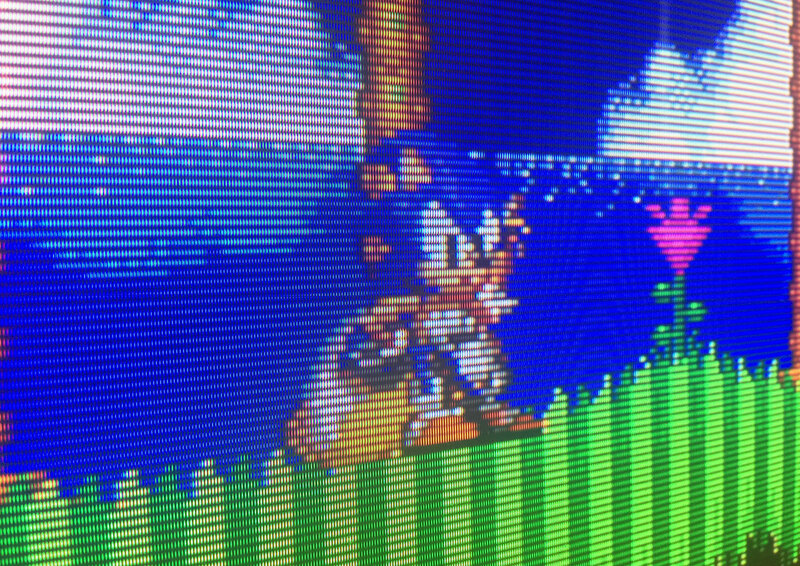 Old consoles (we're talking pre-PlayStation 2) were designed to make use of this specific process: They relied on CRT-specific features like scanlines (this usually refers to the horizontal black lines that noticeably ran through the image), color bleed between the lines and interlacing. So when you plug one of these systems into a modern HDTV, the signal has to be treated and interpreted for your big shiny flat panel. The TV must upscale the pixels and deinterlace the signal -- not to mention it has no cathode tubes, so there would be no scanlines, which means no color bleed. Plus, there's a resolution problem. A Super Nintendo, for example, outputs at 256 x 254; a 4KTV is 3,840 x 2,160. That means if you plugged one into a 4K set, the signal would need to be expanded by inserting several million useless pixels into it. On top of all of this, CRTs are in a square rectangular 4:3 format, while modern TVs have a 16:9 widescreen aspect ratio, which means your game will also appear stretched and distorted. Taking all of this into account, the image resulting from plugging an old console into a modern TV is a far cry from what the console intended to produce. 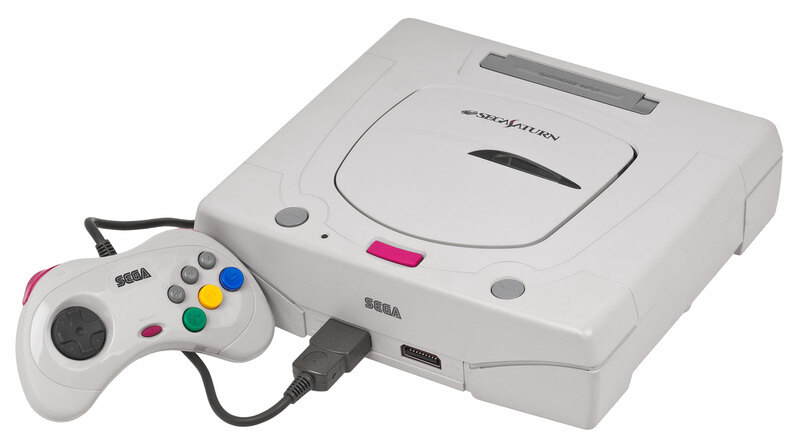 An old Sega Saturn, Super Nintendo, NES or any console before the HD generation, is going to look pretty ugly on a modern screen. If you're like me and you've come this far into the retro fidelity wormhole to learn about stuff like "interlacing," then you're probably going to do something about it. The most sensible and economical thing to do is buy a scaler -- a device that sits between your console and your modern television and handles all of that tricky business of translating the signal. The Framemeister XRGB-mini is probably the most popular. While a scaler can get the job done for most people, the image it transmits is only an emulation and an approximation of what the signal would look like on a CRT. In other words, the scanlines would not be real, and so a scaler could never deliver the image that the consoles intended. To achieve actual honest-to-God retro fidelity, you're going to need to get your hands on a genuine cathode-ray tube monitor. My quest was born. Shopping around, I soon realized that some of the best CRTs ever made -- specialist devices once far out of reach price wise -- were now readily obtainable. 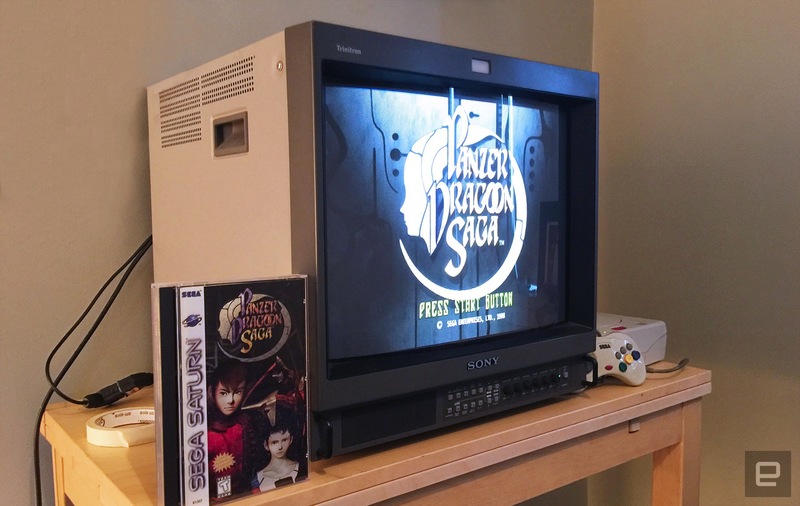 So I set my sights on acquiring a Sony BVM -- a high-end RGB monitor that was most frequently used in broadcast stations and editing bays. Getting one of these bad boys would not only satisfy in the myriad output issues associated with older consoles plugged into new TVs, but it would also be an RGB-input monitor, which means it would display the crispest colors from your old consoles. For the purist -- which, to my horror, I realized was me -- this was a far better option than a scaler. I put the Sony BVM20F1 in my sights. It's a 20-inch monitor that tips the scales at almost 70 pounds. It originally retailed north of $12,000 (yes, that's right), but they now run between $120 and $200 -- if you can find one. I scoured eBay for weeks, but the few BVMs I could find were pick-up only (shipping a 70-pound hunk of equipment is expensive and onerous). I found many possible compromises. In particular there seemed to be a lot of similar but smaller Sony RGB monitors going up for auction around me. But they were only 8 inches or 12 inches and intended for use as medical imaging equipment. While there's certainly something charming in the ridiculous notion of playing Super Mario on a 8-inch screen that had 10,000 hours of displaying sonograms under its belt, I decided to hold out for the real deal. After several weeks of fruitless searching, I failed to turn up anything affordable. Obtaining these old monitors was harder than it seemed. Years passed, and this quest went on the backburner. But then I moved to Los Angeles. I suddenly realized that I was in the broadcasting monitor capital of America. A quick look on Craigslist took me to a storage unit in Studio City, where an aging video editor hauled out two RGB behemoths for me to check out. I hoisted them out of their travel cases to discover two Sony PVM20s. Not the BVM holy grail I had been searching for, but these were a close second (the main differences between the PVM and BVM are in the types of formats the monitors support natively). I bought both PVMs for $100 together -- a steal -- thinking that I could sell the second to another foolish person like myself and maybe even cover my costs and somehow justify this whole mad endeavor. So, finally, after several years with the goal of perfect retro fidelity hanging over my head, I had myself a glorious RGB box complete with scanlines. Imagine my dismay, then, when I got home and realized I needed a set of custom cables to rig my old consoles up with RGB output that would connect to the weird specialist BNC connections on the back of the monitor. So another six weeks passed as I hunted down the RGB cables that had to be custom-built for the Saturn and the SNES and shipped from the United Kingdom. And yet, they still needed BNC adapters. These were shipped in from Hong Kong. So about two months after I burdened my home with a 70-pound monitor that every befuddled guest asked questions about, I could finally -- finally -- experience the glorious RGB scanline-infused signal that I had longed for all these many years. 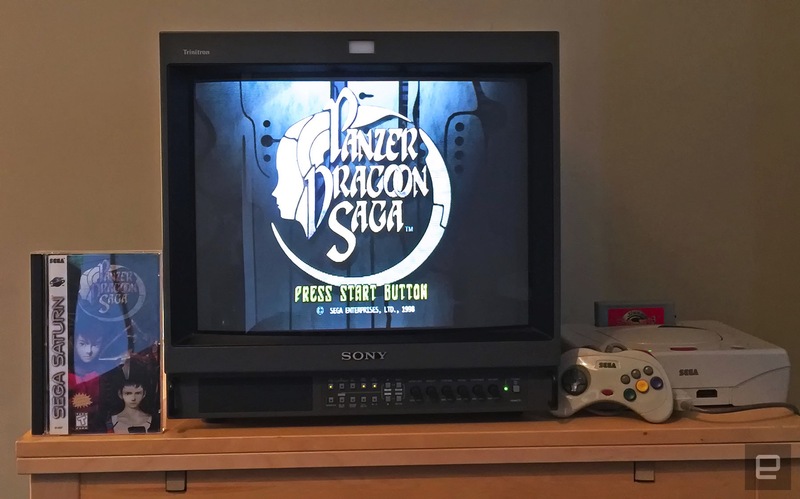 I hooked up my Sega Saturn and basked in the glory. The monitor turned on with a satisfying hum as the cathode ray guns warmed up. The screen glowed with a buzz of static electricity that was fuzzy to touch. I played an hour or so of old fighting games and shoot-em-ups. The Darkstalkers sprites were gorgeous; their animations popped. Radiant Silvergun was, um, radiant. The colors, carried over RGB signals that separated the reds, greens and blues, were vibrant and alive. These games looked magnificent, better than I could have ever experienced them back in the day because I would never have had access to such an expensive monitor. They were simply the best they were ever going to look. But the glow faded fast. After a couple of weeks of dabbling with the equipment and various games and consoles, my attention drifted. I sold one of the monitors to an artist who was making an installation. The other got boxed up and put in the basement. 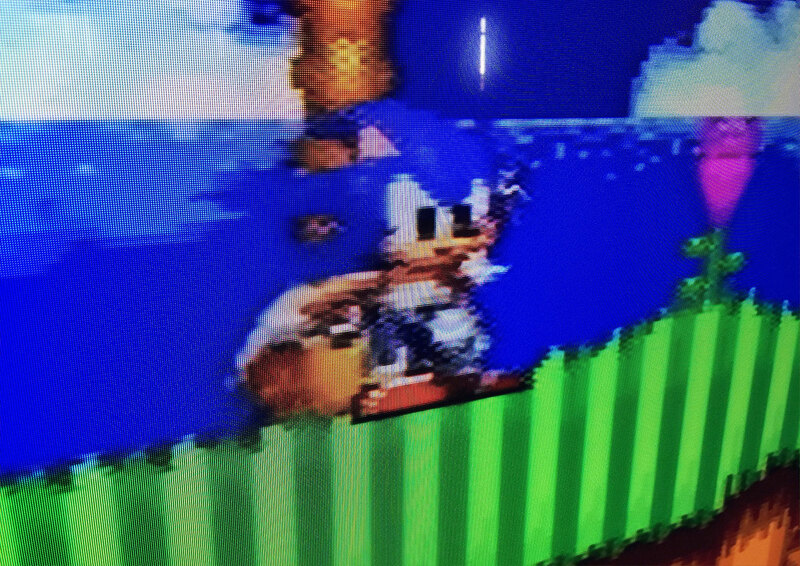 I had seen Sonic the Hedgehog in its most pixel-perfect incarnation, and yet I felt empty inside. Searching for retro fidelity, I realized, was not merely about making old games achieve an objectively "perfect" gold standard of visuals. At the end of the day, even on the best hardware you can obtain, it all becomes subjective anyway. Dive deep into retro gaming forums like Shmups and you'll find that at a certain level, it is just a matter of preference. No, this quest was always about something more personal. Old video game consoles -- and old CRT televisions, for that matter -- exert an emotional pull on many of us. These devices created the images that we grew up with. They were charmingly imperfect, and elegant in their solution to technical problems. These images are attached to memories; to our sense of identity. Re=creating them as we think we remember them has become a time-consuming, burdensome endeavor -- and as the tech ages and disappears, it will become increasingly difficult and also more expensive. It's not that the games themselves will go away -- there will always be plenty of ways to play them, but what we will be playing will always be a mere emulation. It will be, like our memory, simulations of images that were once magical -- beautiful in their imperfections -- but are now gone forever. Zach Hines is a writer based in Los Angeles. His debut young adult fiction novel, Nine, is due in 2018 from HarperTeen. His writing on video games and interactive art has also appeared in Kill Screen.